It is with great sadness that we report the recent death of Lord Darnley, previous Governor and Chair of Governors, and avid supporter of Hereford Cathedral School. Lord Darnley joined the Governing Body in 2003, and was appointed Chair of Governors in 2006. Under his stewardship the school developed its facilities, personnel and direction. Not only did the school acquire a new sports hall, science laboratories and sixth form centre, but a new Head and Deputy were appointed in the Junior School, as well as a new Head and three deputies in the senior school, not to mention three bursars and six governor appointments. Whilst Chair of Governors, a school inspection took place and Governance achieved the highest grade possible. 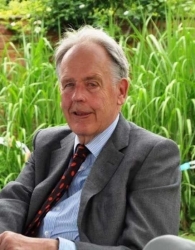 Lord Darnley, retired from the Governing Body in 2012, but has been a strong supporter of the school since and he shall be sorely missed by staff and Governors who knew him. Our thoughts and prayers are with Lady Darnley and family.